" Our mission is to support yours—by creating high-quality content." These days, every brand needs to be a publisher—but not everyone has the time to write. Prose Media can help. Powered by an industry-leading process and platform, a passionate editorial staff, and a network of 1,000+ elite, handpicked journalists and copywriters, Prose makes it easy for innovative brands to get professionally-crafted content—from blog posts and articles to white papers and social media. Content creation, solved. Get the pros without the cons. Storytelling. It’s the word du jour. In a world where every brand is a media producer, you know the importance of creating the best content. The real question is: How? Online writing services offer nifty platforms—not complete solutions. The passion of writers and editors committed to your brand. People and technology working together — we believe it’s the model of the future, in content marketing and beyond. With Prose, you can outsource without the usual risks and hassles, enjoying the benefits of an easy process and a platform with a personal touch. Learn more about how we compare and exactly how it works. We live in an age of information overload. Billions of web pages. Words. Tweets. In a world of noise, quality counts. Increasingly, as organizations and as people, we need more than just “content.” We need prose. I’ve always had a dual love—for writing and for growing brands. My first startup was an online bookstore. I put the profits toward an MFA in Writing at Columbia—but at the same time, I also cross-enrolled in MBA classes. Every day, as I’d amble between Business and Arts, the two buildings—and the two worlds—started to seem less and less far apart. With the explosion of content marketing, the connection became clear. Words build brands. And so, after quitting my jobs as an editor at Google and head of communications for a large non-profit, I took $3,000 of savings and launched Prose Media. Great writers soon found Prose. Adapting to a shifting media landscape, top-tier freelancers in New York and across the country coalesced into a vibrant virtual community. Brands found us, too. With zero marketing budget, we built our client base organically, driven largely by referrals. In a world of venture capital, we were (and remain) bootstrapped and independent—serving clients, not investors, and powered by passion. Today, content marketing has become big business; like online content itself, brands have hundreds of content creation options. But we like to think our quality sets us apart. In a world of noise, real prose rises to the top. By creating a new way to get content and crafting our words to match the unique style and voice of every brand, we’re pioneering a prose revolution. Our story has just begun. But yours is the one that counts. We’d love to help you write your story of success. Join us today. Here's a novel concept: a writing service run by a writer. Why not? 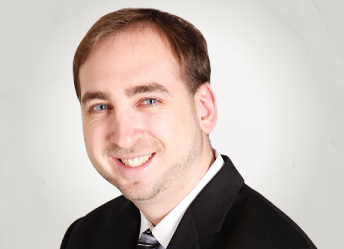 Supported by a talented team, Justin Belmont is the founder and CEO of Prose Media LLC. A former Editor-in-Chief at Google, Justin studied at Oxford and graduated from Tufts in 2003 with Highest Honors in English. He earned his MFA in Writing at Columbia, where he funded his tuition through an online bookselling venture. During his Columbia years, Justin read poetry submissions at The New Yorker and was Managing Editor of Columbia: A Journal of Literature and Art. He has written a tech humor column for Forbes.com and published two books, Inside New York (a top-selling guidebook) and The Art of Bicycling (a poetry anthology). His freelance work has been published in The Wall Street Journal, Fortune/CNN Money, and Reader's Digest. At Google, as a Manager of Global Communications and Public Affairs, Justin oversaw internal news for 20k employees worldwide. He also served as Director of Communications at Endeavor, a $30M global entrepreneurship nonprofit that supports fast-growing businesses, where he managed digital content and wrote speeches for an internationally known CEO. Earlier, Justin founded and directed eFundraise.org, a social enterprise for nonprofit fundraising. In the belief that education should be a universal privilege, he also founded (and continues to run) the nonprofit CourseWorld, Inc., a leading online education platform dedicated to the liberal arts. We only work with the best. Our network has more than 1,000 U.S.–based professional journalists and writers with solid experience writing for top publications and leading brands—from startups to Fortune 500s. Below is a small sampling of our writer pool. We make content easy. Sign up now.